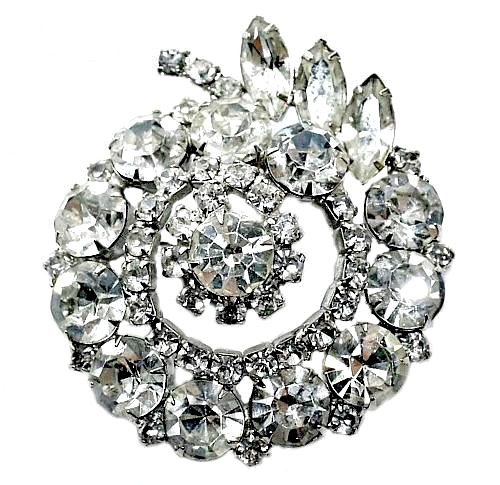 Exceptional Clear Rhinestone Brooch, stunning in both design as well as large size. Make heads turn when you enter the room, perfect for holidays, or every day, this is not for you if you are shy. Multi shaped sparkling Rhinestones shine in this three~dimensional design, catching the light and reflecting a glow. Every prong-set set stone is bright and clear. 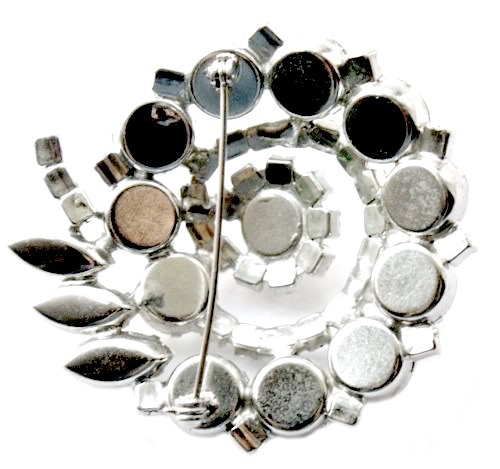 The variety of shapes of stones add to the beauty of this pin, a luxurious addition to your antique and vintage costume jewelry collection. Unmarked, by DeLizza & Elster.